A Canadian government report has just surfaced and it calls for an end to the subsidy of VIA Rail’s Train #1. That is, of course, The Canadian, the iconic train running between Toronto and Vancouver. The document, described as “a federal review”, probably originated in Canada’s previous government which, until the recent national election, was controlled by the Conservative Party and was decidedly unfriendly to VIA Rail. 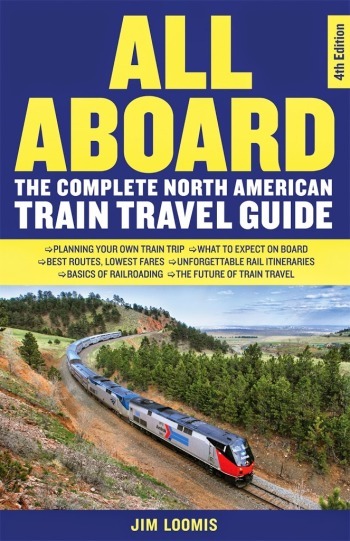 I found it interesting that the report extensively quotes executives with the Rocky Mountaineer, the luxury tourist train operating in British Columbia and Alberta. Essentially, they are complaining that the government subsidy enables VIA Rail to compete with them unfairly. It’s relevant to note here that the owner of the Rocky Mountaineer is Peter Armstrong, a big shot in Canada’s Conservative Party and someone who apparently enjoys considerable influence in the Canadian government … or at least he did until the Labor Party won the election this past October. Armstrong is considered a controversial figure in some Canadian circles. Several years ago, the Rocky Mountaineer’s contract with their unionized employees expired and Armstrong, a true conservative, took that opportunity to fire every one of them and hire non-union replacements. And from a knowledgable source comes another related story involving Peter Armstrong and the Rocky Mountaineer which provides some interesting context to this recent effort to kill the government’s monetary support of The Canadian. Back in 1990, with the Canadian government studiously looking the other way, the Canadian Pacific Railway essentially forced VIA’s Train #1 off the traditional and most desirable route through Kamloops and the exclusive resort areas of Lake Louise and Banff. Instead, The Canadian was re-routed through areas with much smaller populations and by way of Jasper instead of Banff. 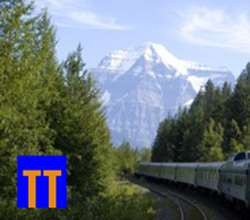 Today, Train #1 continues to go through Jasper and—Are we shocked and surprised?—Peter Armstrong’s Rocky Mountaineer now carries trainloads of tourists over that preferred route through Kamloops to Lake Louise and Banff. Bottom line: government pressure on the two Class I railroads forced one of the world’s justifiably famous trains off the more scenic route, thus clearing the way for Peter Armstrong’s Rocky Mountaineer to take its place. And now here comes an effort to withdraw the government subsidy from The Canadian, which would no doubt mean its demise. I guess we all know who would be waiting in the wings to take its place. 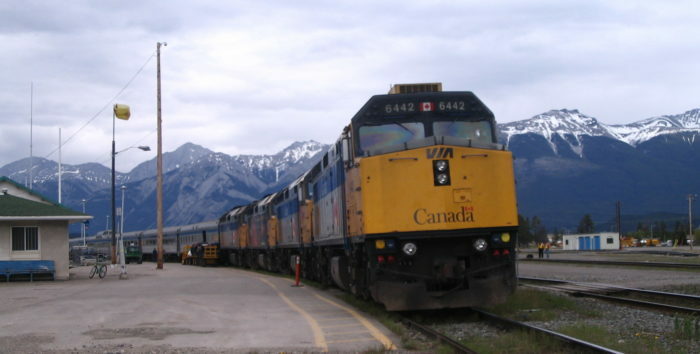 PHOTO: VIA Rail’s Train #1, The Canadian, waits in Jasper, Alberta, for a new head end crew, more fuel, and more supplies. Previous Viewliner Sleepers Have Real Pluses. NextIs Amtrak Just a “Cross Country Tour Bus”? Thankfully I think this has no chance at all of happening under Trudeau’s government. 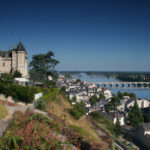 VIA is actively making a bid to Trudeau for a major passenger-exclusive corridor from Toronto to Montreal, onward to Quebec City and onward to London, Sarnia, and Winsdor. If he pulls this off, VIA’s financial situation will improve vastly; they may be in a position to actually increase service on the Canadian.